If there is one thing that is certain, achieving health goals does not happen overnight. To realize optimal health, we must make a commitment to change the way we live, indefinitely. At the same time, we must make these changes gradually, and be kind to ourselves in the process. The quickest way to revert back to bad habits is to overwhelm yourself with changes. All of my consultation work is done via Prescribe Nutrition. I co-founded Prescribe Nutrition because my partner and I were seeing a common denominator in our private practices: subtle shifts in diet, understanding “why” and ongoing support can solve many people’s health issues. Our programs support people over a period of time instead of one off consultations; we see far better results with this. To work together please take 10 minutes to fill out the Health History Intake Form. Pricing is outlined in the form. 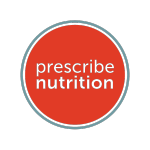 I encourage everyone to take a Prescribe Nutrition program before working privately (more content, support and understand with less of a financial commitment), but if you feel private work is what you need at this time, please email me.